The hosts of the BGA Team Competition this year was Melrose Golf Club. They are the first winner on the George Wallace Memorial cup, in 1964. By pure coincidence, who was at the clubhouse to let me in, Davie Campbell who played in the Melrose team in 1964. The format of the competition was the best 3 scores out of 4 with the 4th score if a tie. 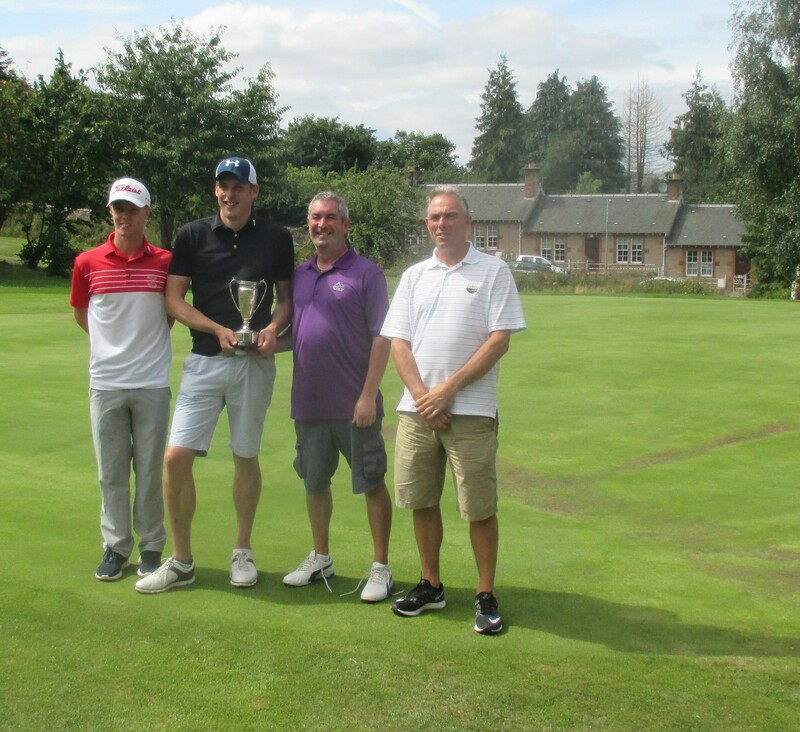 The winner would represent the Borders in the Scottish final at Kinross Golf Club. If they won that, a place in the European final, to be held in France. The course looked very fresh, back to green, a little wind, the sun shining, what more could you ask. A good score, did someone say. It was strong field with 8 players scratch or better, but they could not master the Melrose course. Whether it was the higher handicappers not getting into trouble or the scratch players not used to the course. It was Ian Ramsey (Melrose) who showed them the way. Playing off a handicap of 4 he returned a nett 64. He was not let down by his team mates and Melrose took the handicap prize by 6 shots from the Woll. In fact, the scratchers or better managed to take the last six places, out of 20 players. All clubs that missed the competition missed a chance of glory. Melrose were only 4 behind Peebles, the winners with 217, but had a total handicap of 24 against the winner’s handicap of -1. Hawick were second by a point on 218. The BGA thank Melrose for their hospitality, the pies were excellent. They were so keen that they entered the competition for next year. There is nothing gives me more pleasure to this job than players showing excitement to compete irrespective of ability.